The sister of a Kiwi man who was killed in Samoa is "brokenhearted" her brother's killer has walked free. 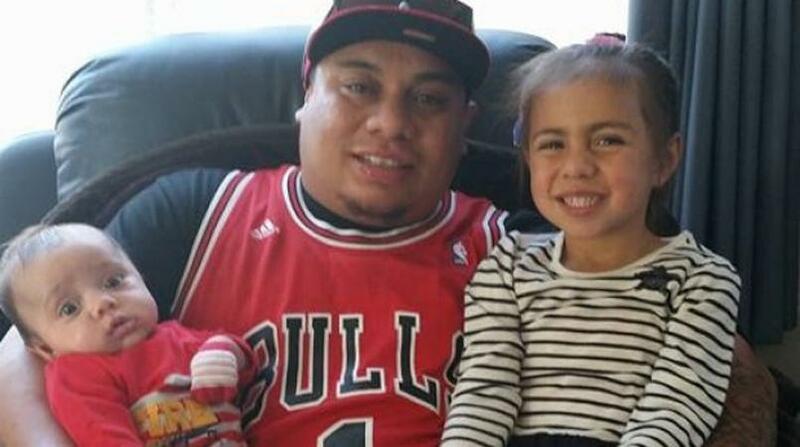 Aucklander Christopher Limu was walking down the road with his young cousins in his family's village of Falefa, east of Apia, on August 12 when he was struck by a car. The 29-year-old father of two sustained critical injuries and died on the way to hospital. Police arrested Falefa local Vavao Monike, who they said was drunk when he drove the Mitsubishi into Christopher. During Monike's sentencing on November 20 he was ordered to pay a $2000 fine - no jail time. Mai Limu said she couldn't believe the man who killed her brother had not been sentenced to spend any time in prison. Monike's lawyer and probation officer argued he had been forgiven by Christopher's family. Limu said following her brother's death, Monike's family visited her mother's family in Samoa, asked for forgiveness and gave them $2500 towards funeral costs. The family accepted the money and gave Monike's family their forgiveness, following the Samoan custom of Ifoga. However, the family never expected Monike to walk free, Limu said. Ifoga was a cultural custom but had nothing to do with the court system, she said. "I think the biggest feeling we had was just the disgust in the justice system." Limu said she was "dumbfounded" at the sentence handed down by the judge. "It's pretty much just rubbing salt in the wound." Limu said her brother's partner, and the mother of his children, Michelle Liddle cried more when she found out about the sentence than when she found out about Christopher's death. "She felt like Chris died all over again." Limu said the family planned to appeal the sentence but it would be hard to get to Samoa with her father recently undergoing surgery and the family's financial stress following the funeral. The funeral and transportation of Limu's body back to New Zealand cost $16,000. ACC contributed $4000 Samoan Tala (NZD$2300). Limu said her parents' dreams of building a house and retiring in Samoan had been dashed. Christopher was in Samoa to help set up his parents' retirement when he was killed across the road from where they planned to build the house. The family were struggling to come to grips with what had happened, Limu said, adding that Christopher would have turned 30 on Christmas Eve. Christopher's five-year-old daughter was unable to accept her father was not coming home, his 22-year-old cousin who was there at the time of the accident was traumatised and cried continually, and his parents were unable to talk about the sentence due to their anger. "If he got some sort of justice it would be easier for us to move on." Christopher was well known as a car fanatic. After his body was returned home, his friends from the car club held a special fundraiser where all proceeds went to his partner and two children. Samoa's Ministry of Justice would not provide information or documents on Monike's sentencing.